Information on this page was contributed by Lin Van Buren. HORATIO GATES SPAFFORD (1828-1888) wrote the now-familiar hymn "It Is Well With My Soul" in 1873. He was born 20 October 1828 in Lansingburgh, Rensselaer County, NY, and died 16 October 1888 in Jerusalem, Israel of malaria. He is buried in Jerusalem. His father, also called Horatio G. Spafford, rose to some prominence in federal government and was a correspondent of Thomas Jefferson (1743-1826), the third president of the US (1801-1809). At least one letter from Thomas Jefferson to Horatio G. Spafford is still extant; it was written at Jefferson's home, Monticello, in Virginia, to Spafford at Hudson, Columbia County, NY, and was dated 14 May 1809. Peter CHRISTIAN age 30 born Denmark occupation "At Home". After the census, a fourth daughter, Tanetta, was born. 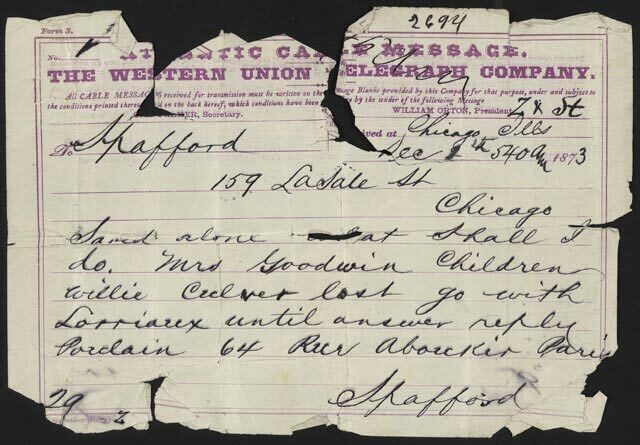 When the Great Chicago Fire swept through the city on 8-10 October 1871, killing 250 people and rendering 90,000 homeless, Horatio Spafford personally sustained significant financial loss when about a third of the city was destroyed. Nevertheless, Horatio and Anna Spafford worked tirelessly for two years to help the victims of the conflagration put their lives back together. Spafford was a friend of evangelist Dwight L. Moody (1837-1899), who had centred his worldwide Christian activities in Chicago.In 1873, Horatio and Anna Spafford decided to go to Europe. The family of six travelled to New York to board their ship. Last-minute business obligations caused Horatio Spafford to postpone his own sailing, but he saw no reason for the entire family to delay their travel, so he sent his family on ahead, planning to join them as soon as he could. Anna Spafford, the couple's four daughters, the children's governess and two others in their party boarded the French steamship Ville du Havre on 22 November 1873, along with 307 other passengers and crew. 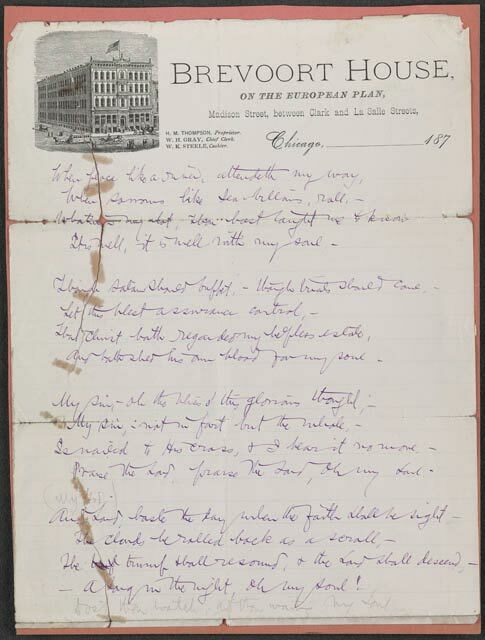 Horatio Spafford returned to Chicago. At about 2 o'clock am on 22 November 1873, in the eastern North Atlantic, the Ville du Havre collided with the British iron clipper Loch Earn. The Ville du Havre sank in a mere 12 minutes, and 226 people perished, including the four Spafford daughters. The Loch Earn was seriously damaged but nonetheless was able to take on board the 61 surviving passengers and the 29 surviving crew from the Ville du Havre. Among the survivors were Anna Spafford and the governess, Emma Lorriaux. The following day, the US ship Tremontain reached the scene, and the rescued Ville du Havre passengers were transferred from the Loch Earn to the Tremontain, which carried them to Wales, landing at Cardiff. 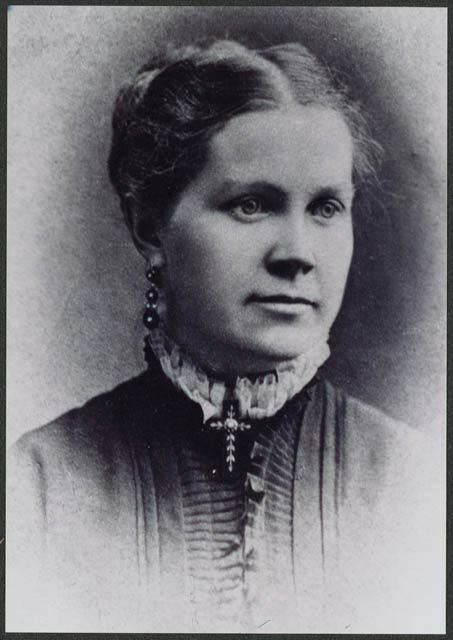 From Cardiff, Anna Spafford on 1 December 1873 cabled her husband the following devastating message: "Saved alone. What shall I do. Mrs Goodwin children Willie Culver lost. Go with Lorriaux until answer. Reply Porclain 64 Rue Abouckir Paris." Horatio Spafford took the next available ship to join his wife. Bertha Spafford (the fifth daughter of Horatio and Anna, born later; see below) would later recount that during her father's voyage, the captain of the ship had called him to the bridge. "A careful reckoning has been made", he said, "and I believe we are now passing the place where the Ville du Havre was wrecked. The water is three miles deep." That night in his cabin, Horatio Spafford wrote the great hymn declaring the comforting peace of the believer, "It Is Well With My Soul." His lyrics may well have been inspired by a Biblical verse found in II Kings 4:26: Of an unnamed Shunammite woman whose adult only son had died, the verse reads, "Run now, I pray thee, to meet her, and say unto her, Is it well with thee? Is it well with thy husband? Is it well with the child? And she answered, It is well." A manuscript in Spafford's own handwriting can be viewed by clicking here. Bertha H. SPAFFORD daughter age 2 born Illinois NY Norway. The Spaffords also had another daughter, Grace, born in Chicago in January 1881. When Grace was just seven months old, the Spaffords moved to the Holy Land in August 1881. They helped to found a group called the American Colony in Jerusalem; its mission was to serve the poor. The Swedish novelist Selma Ottiliana Lovisa Lagerlöf (1858-1940) wrote the two-volume novel Jerusalem in 1901-1902 about this colony and others like it, and she won the Nobel Prize for Literature in 1909. Sometime during the 1880s, in Jerusalem, Horatio Spafford suffered a mental illness that caused him to believe that he was the second Messiah. After Horatio Spafford's death in 1888, Anna Spafford remained in the American Colony, and daughter Bertha Spafford grew up there. In 1904, Bertha Spafford married German-born Frederick Vester, and they had six children, of whom the eldest son was named Horatio Vester. In 1950, Bertha Spafford Vester wrote the book Our Jerusalem (Garden City: Doubleday & Company, Inc., and Lebanon: Middle East Export Press, 1950); the eminent American radio broadcaster Lowell Thomas (1892-1981) wrote the foreword. In 1964, Bertha Vester wrote Flowers of the Holy Land. The Spafford Children's Hospital, still in existence today, arose out of the American Colony in Jerusalem. The Spaffords' main residence is now the American Colony Hotel; it was run by Horatio Vester until his retirement in 1980 and continually ranks among the finest hotels in the world. Gary Bakko writes, "I have spent much time researching the life of Anna Spafford. American Priestess: The Extraordinary Story of Anna Spafford and the American Colony in Jerusalem is a fascinating book written by Jane Fletcher Geniesse, which came out over a year ago." This book was published in 2008 by Bantam Dell Publishing Group, a division of Random House.